Disclosure: I participated in a campaign on behalf of Mom Central Consulting (#MC) for Urbini. I received a product sample to facilitate my review and as a thank you for participating. Making decisions is a big part of having a baby...what diapers to choose, to give a pacifier or not to give a pacifier, swing or bouncer, and choosing a stroller is no different. So when it comes to choosing a jogging stroller safety and a great design are a winning combination! 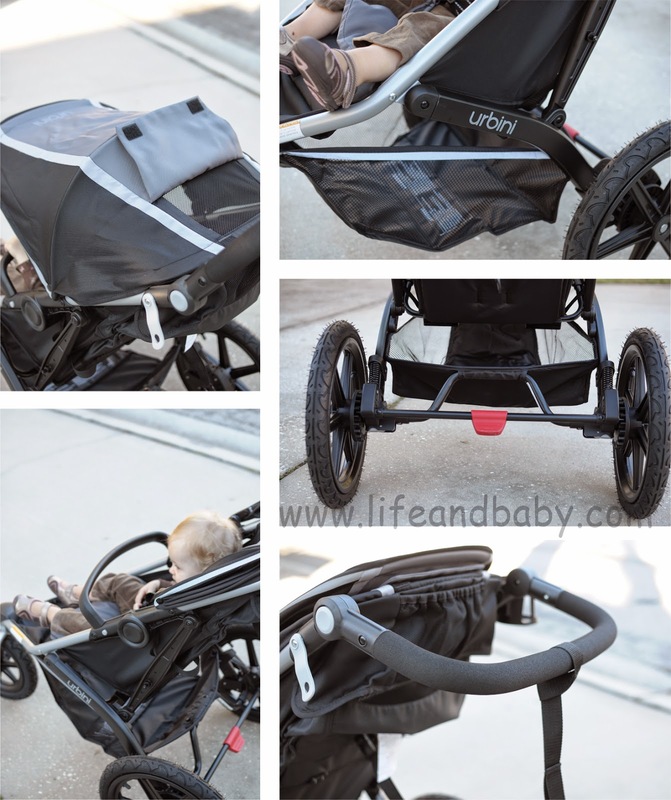 Enter the Urbini Avi Jogger Travel System! For less than $300 (available exclusively at Walmart stores and Walmart.com) you can have a jogging stroller and complete car seat (base included). Out of the box you can tell that this system is different; in minutes the stroller was assembled and ready to go (with the help of my almost 4 year old who was so proud of herself that she was able to snap the handlebar in with ease). The car seat came with a cushy insert, easy to lock harness and it easily snapped into the stroller and car seat base (in the car). It's easy to handle and carry and looks super sleek. Both my kids loved the stroller (age 1 and age almost 4) and my little one loved her upgraded car seat! It's our first jogging stroller and we've surely hit the jackpot with this gem. Now there are no excuses not to go for a run! The Urbini Avi Jogger is lightweight and easy to fold (and doesn't take up my whole trunk, which is really important) it maneuvers like a dream and gives the little ones a smooth ride. I loved the 2-position canopy with mesh window and the cushy adjustable handle (my husband can use it too!) I wrapped the comfortable safety strap around my wrist, strapped my kiddo into a 5-point harness, adjusted the seat to their preference and we were on our way. The inflatable rubber tires were great on bumpy sidewalks and streets and provided great suspension. The brake system was super easy to use; with one simple touch it was activated/deactivated and it's located in the center so I can easily get to it. And when it was time to go home I was able to fold it with one hand and it stayed standing upright when folded (which is amazing!!) It's so nice to have a stroller with a high weight capacity (this ones goes up to 65 pounds) which means the Urbini Avi Jogger will be a staple in out home for a long time to come. Both my 1 year old and almost 4 year old loved the stroller and it was comfortable for both. In comes in so many great colors to choose from: red, pink, black/grey, blue, and sunshine. With all of its great features The Urbini Petal Infant Car Seat is sure to become a Mom favorite. Weighing less than 8 pounds and easily snapping in and out of the car seat and jogger it's as comfortable as it is safe. 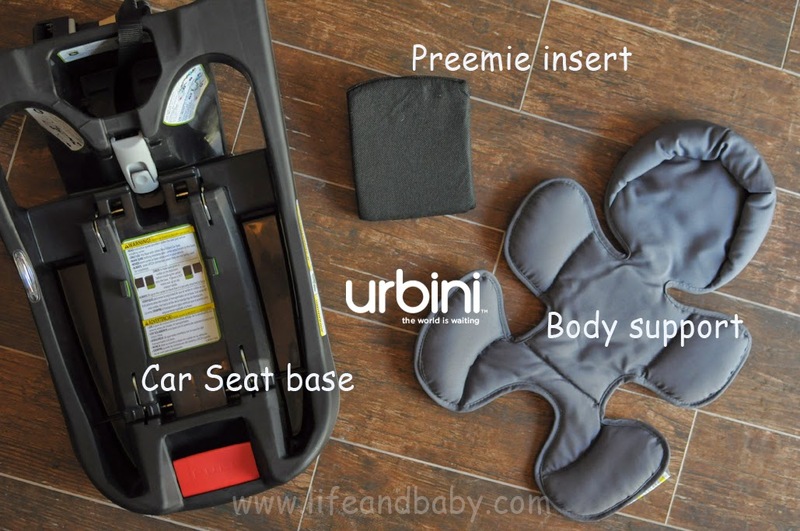 Let's talk about safety because when it comes to car seat it's what is really important, The Urbini Petal has been rigorously crash and side-impact tested, it has expanded EPS energy absorbing foam and deep sidewalls. The level indicator lets you know that the seat is installed properly which is priceless peace of mind for every parent. Another great feature is the low harness position setting and the preemie insert which ensures that the really little ones (4-6 lbs) are properly positioned. My favorite feature is the weight limit! It goes up to 35 pounds! (and 32 inches) which is amazing! The car seat I had with my first only went up to 22 pounds and who can afford to buy a new car seat after just 1 year ? (more or less). If you want to learn more about Urbini check out their website, facebook page or twitterPin It Now! Does the car seat snap into the jogger? Thanks! Do you know if it has to be purchased as a travel system or can the jogger and infant petal car seat be purchased independently and still snap together? They can be purchased independently, but you have to make sure you purchase the infant Petal Car Seat that is specific to the Avi Jogger. 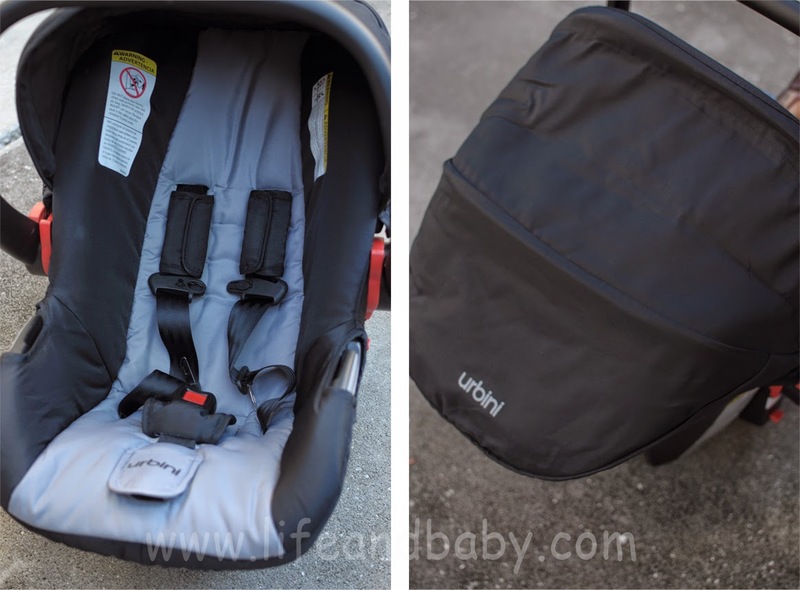 Urbinibaby.com states, "Please note that the Omni Travel System and the Touri Travel System each come with their own specially designed version of the Petal Infant Car Seat. These car seats are NOT interchangeable." The Avi Jogger and correct Infant Petal car seat are on Walmart.com as a bundle for $199. How much would you say the jogger stroller weighs? Water slide game is not just for kids. it's also for the any kind of people who loves to play and like to spend their life by enjoying. Just play this game and lead a hassle free life. Parents always want the very best for their babies. We are all aware that there are several companies who make strollers. For over 25 years now, The Baby Jogger Company, has been making very dependable and secure strollers with many features for convenience.